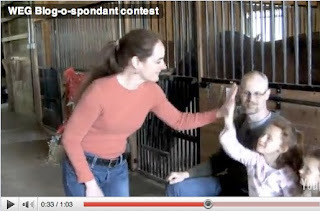 Sheri of Ohio is a semi-finalist for the Purina Live from Lexington blog-o-spondent contest. I hope everyone will vote early and often for Sheri. 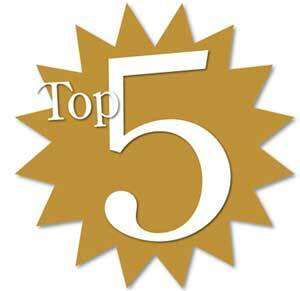 If you're undecided, here are five reasons she deserves to blog for the WEG. Vote every day at www.livefromlexington.com! She is a real blogger (not true of all semi-finalists). 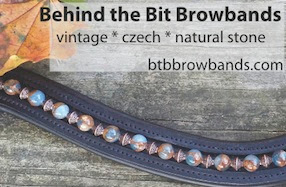 Since 2006 she has chronicled her life and horse adventures on her blog www.dressagemom.com. She is an experienced, successful dressage rider. Style and substance. She put together a video that got her point across and was fun to watch. She is like many of us who juggle responsibilities to ride and have horses. Her dressage horses are Arabians. Wouldn't it be cool to see a rider who is successfully showing non-traditional horses get some visibility at WEG? Sherri lives in South Euclid, a suburb of Cleveland, not Toledo, Ohio. BTW, I'm a native Ohioan living in Oklahoma.